RTÉ Radio 1, RTÉ lyric FM and LMFM each took home a Station of the Year award at the IMRO Radio Awards 2017. Radio 1 won the title for Full Service station, lyric FM for Music Station and LMFM for Local Station of the Year. 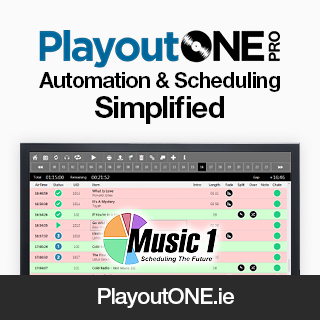 In addition, the Outstanding Achievement Award went to Composing the Nation on RTÉ Lyric FM. Attended by over 600 guests, the Awards were hosted again this year by radio DJ and comic Dermot Whelan. In total more than 677 entries were received, these were then whittled down to a shortlist of 185 which was announced in early September. 90 Judges deliberated over the record number of 677 entries. Judges listened to over 295 hours of the best of radio from both sides of the border, the 2017 Radio Awards have been the most hotly contested in their 17 years of existence. Speaking on behalf of the new sponsors of the Awards, Eleanor McEvoy, Chair of IMRO said “The IMRO Radio Awards celebrate and applaud the many radio professionals who day-in-day-out shine a light on the important local, national and international topics and issues that affect us all and who create that all too important musical soundtrack of our lives. Each of the nominees in their own way has made an indelible mark on the broadcasting sector and they rightfully deserve to be honoured by their peers on this special evening”. In mid-September, the annual Hall of Fame induction took place at the BAI offices. This year’s inductees were Linda McAuley (BBC Radio Ulster), Séamus Mac Géidigh RIP (RTÉ Raidió Na Gaeltachta), Billy McCarthy RIP (WLR FM) and Joe King (Broadcast Technical Services Limited).